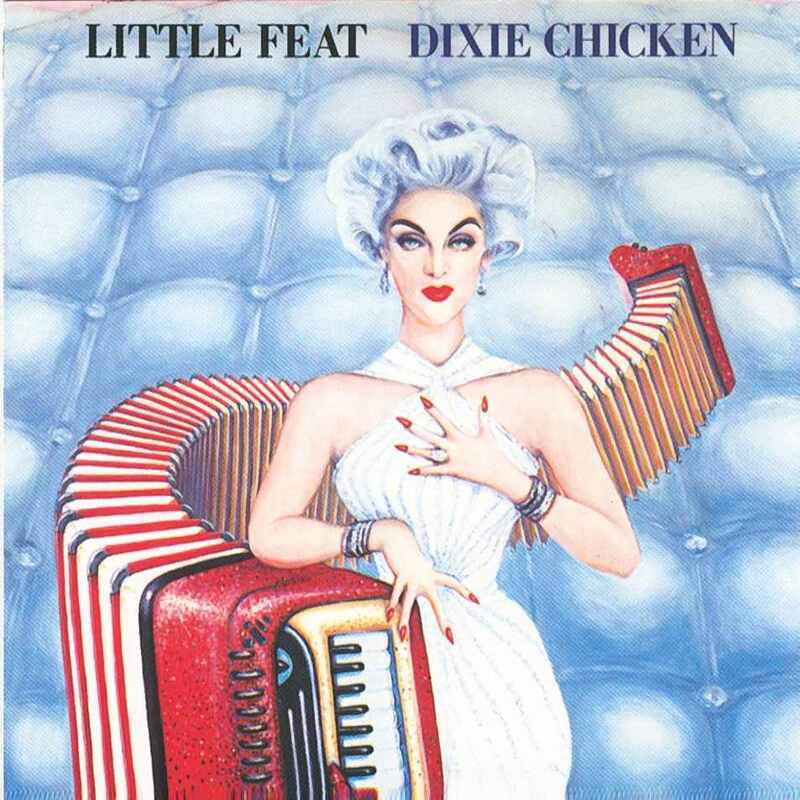 Dixie Chicken is the third studio album by the American rock band Little Feat, released in 1973. The artwork for the front cover was by illustrator Neon Park and is a reference to a line from the LP’s third song, “Roll Um Easy”. 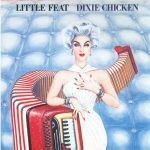 The album is considered their landmark album with the title track as their signature song that helped further define the Little Feat sound. This was augmented by two additional members (guitarist Paul Barrere and percussionist Sam Clayton) added to make the more complete and familiar lineup that continued until their 1979 breakup following the death of Lowell George. Bassist Kenny Gradney was brought in to replace original bassist Roy Estrada, who had left after the band’s second album Sailin’ Shoes to join Captain Beefheart’s Magic Band. This new lineup radically altered the band’s sound, leaning toward New Orleans R&B/funk.